A new skirt and my picks from the Nordstrom Anniversary sale! 40+ Style » What I wore » A new skirt and my picks from the Nordstrom Anniversary sale! The Nordstrom sale is now open to the general public and there are so many fabulous style items to be found. It’s the perfect sale to refresh your wardrobe for fall. Here are some of my picks that you can easily transition into fall. 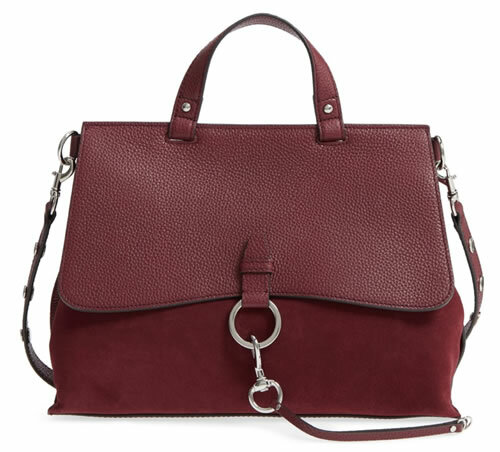 Burgundy red is again a prominent color for fall and this Rebecca Minkoff handbag will be the perfect accessory for many of your outfits. Before you know it fall will be here and you will want a good coat. 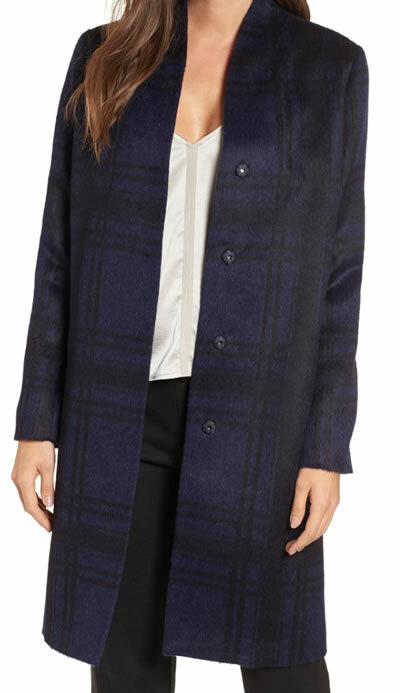 I’m loving this fabulous blue Eileen Fisher coat that looks both chic and hip at the same time. 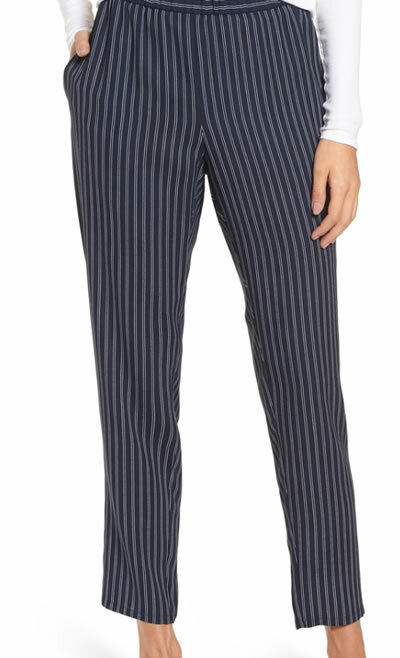 The coat will look fabulous with these Eileen Fisher striped pants, which you can easily transition from summer into Fall. Fly London shoes are always a good idea. Although the ones I have (Yala) are not on sale (they are never discounted as they’re always popular), these fabulous platform sandals are! I’ve been very happy with my DVF silk top (seen here). 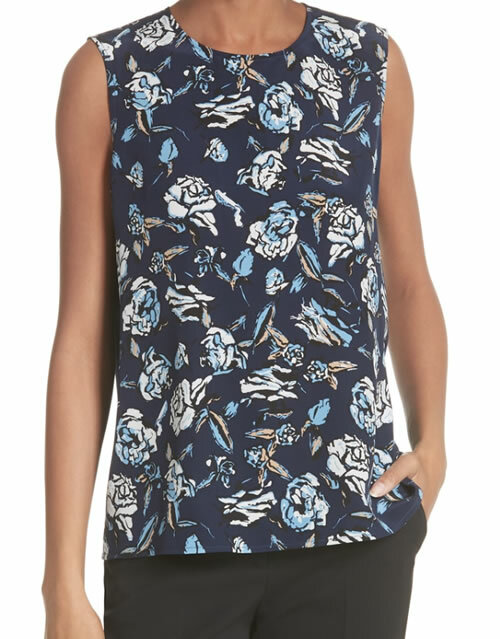 A similar silk top (that you could wear both ways) is now heavily discounted. 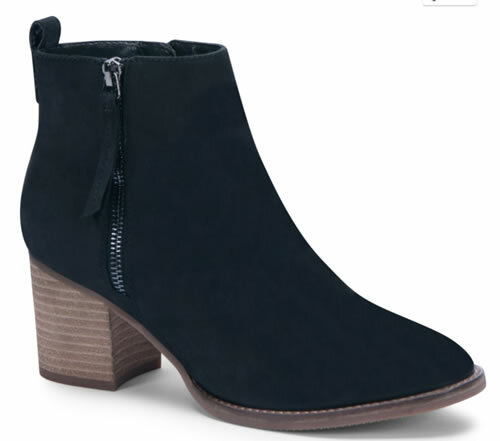 The Blonda Nova waterproof bootie is very stylish bootie that is waterproof too. Perfect for the new fall season and great for traveling too. 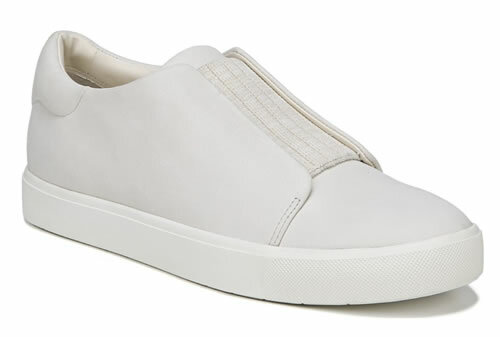 I’m still looking for the perfect white sneaker and these Vince slip on sneakers are a good option. 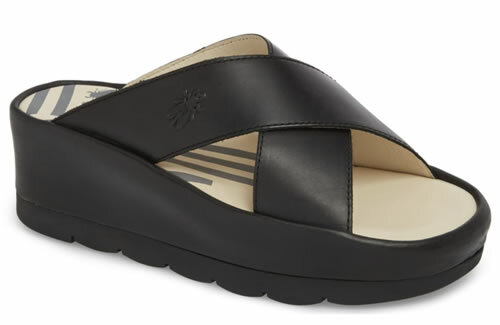 Pikolinos is one of the brands recommended by 40+ readers as shoes that offer good arch support (view a complete list of good arch support shoes here). 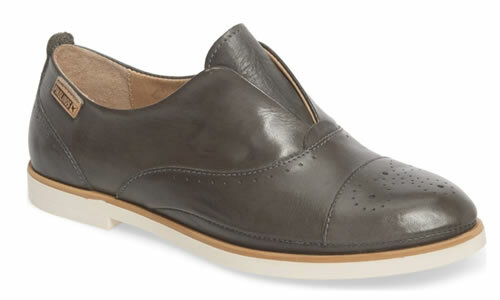 These smart oxford’s will be perfect for the coming fall season. Cos is another one of my favorite stores. They have numerous timeless pieces that are clean cut but still have that extra something special. 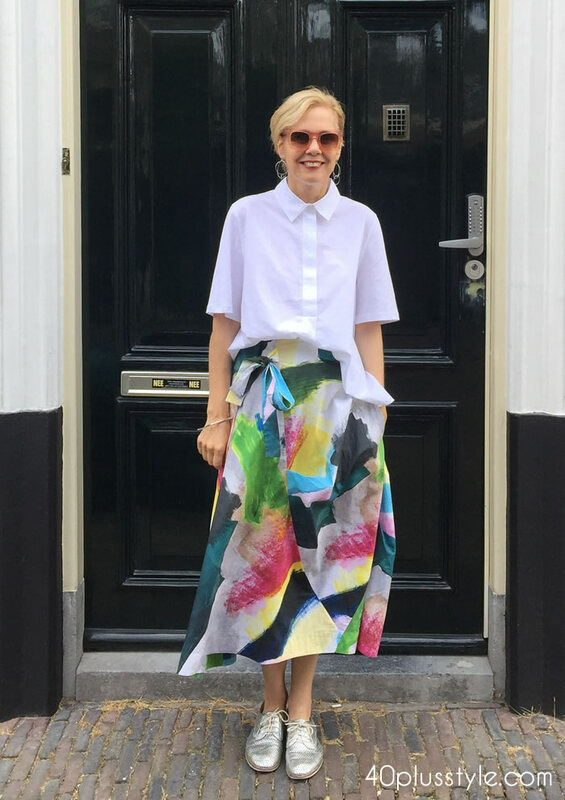 It can be a fabulous print, or an asymmetric detail. They have a sale too, but unfortunately the pieces I bought are not (but they are not that expensive either). I’m so happy with my new Cos skirt which is exactly the same model as my black Cos skirt. (seen here). There is also a dress in the same print The blouse is from Cos too. The light weight silver shoes that I wear with almost anything are from Rollie. Not long ago I bought this Cos dress. Happy shopping at the anniversary sale! Let me know what you got. Great skirt and blouse. And I really like that dress as well. Hadn’t seen that yet. You did teach me a thing or two about proportions. Very very helpful. And I still don’t always get it right, but I am learning. Big time. What a fabulous skirt! Love the colours together!